Every year, the battle of the gloves and hats comes around. It adds a solid 15- 20 minutes to our getting out of the door routine. It is exhausting. 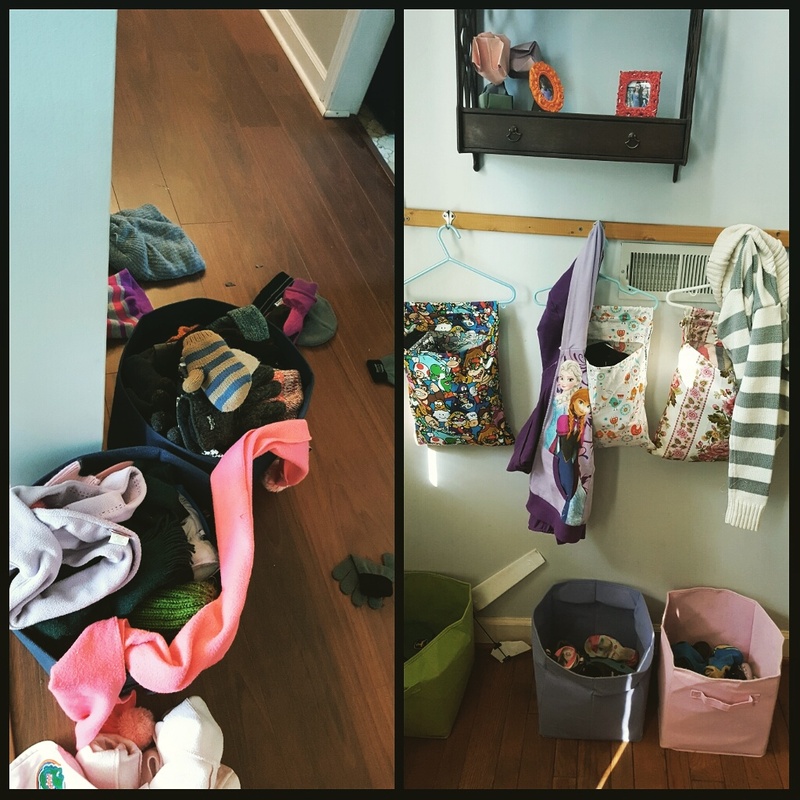 Until now, we had to storage baskets… similar to the ones in the picture holding the shoes. One was supposedly mom and dad’s winter gear. The other was kid gear. You would think that pulling out a hat and a pair of gloves would be an easy task… apparently not. Somehow a glove is always missing. A sister is wearing another sister’s hat. A brother’s hat is no where to be found. An adult’s scarf ends up around a kid’s neck. 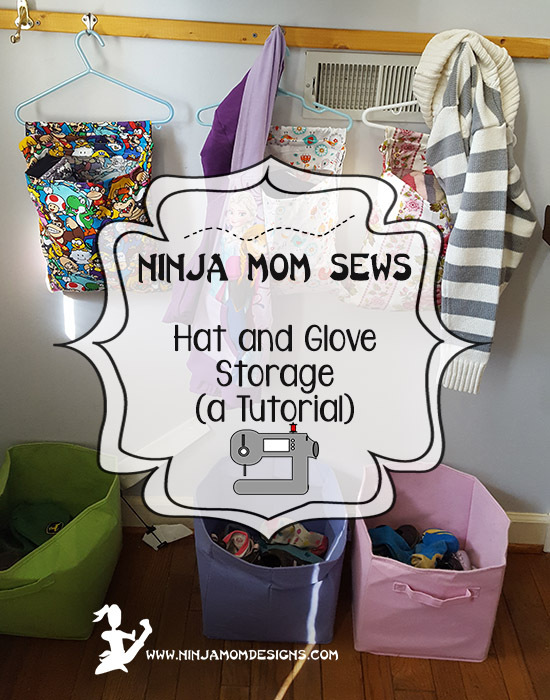 This year, I am determined to get ahead of the battle with these glove and hat pouches that I made for the kids over the weekend. I put together this tutorial in case the struggle is just as real at your house and you, too, are looking for a solution. Take the 3.5 inch by 12 inch piece. 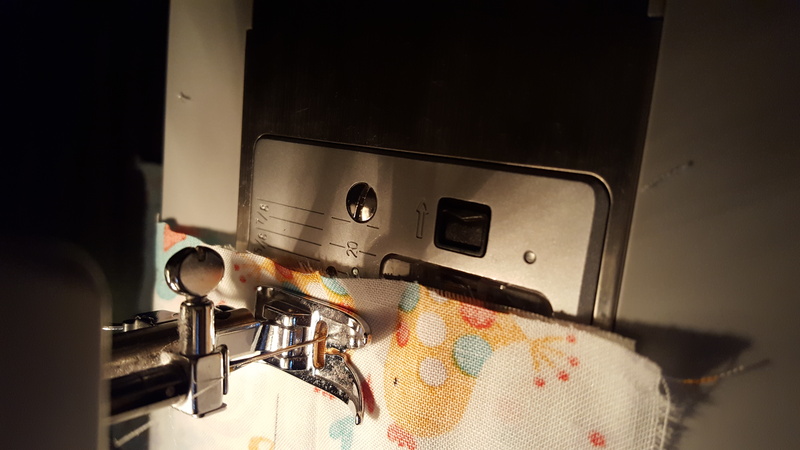 Make a 1/2 inch hem on one of the 12 inch sides. Pay attention to the direction of the fabric. This will be the top flap on the front of the pouch. 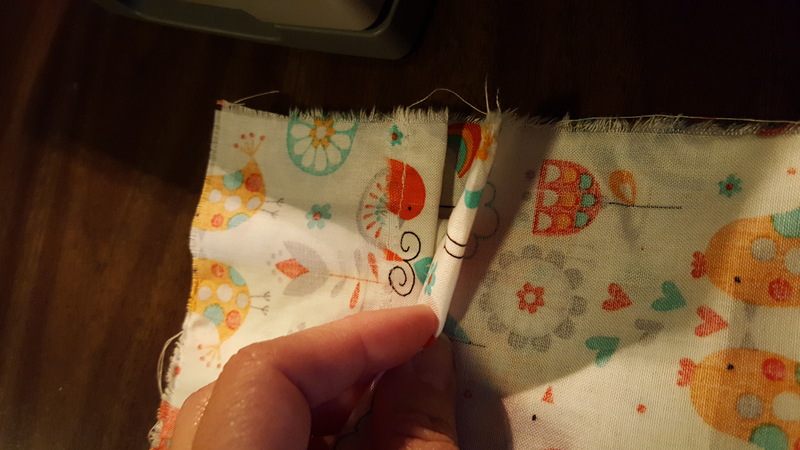 Pin the hem in place then sew with a 5/8 stitch. 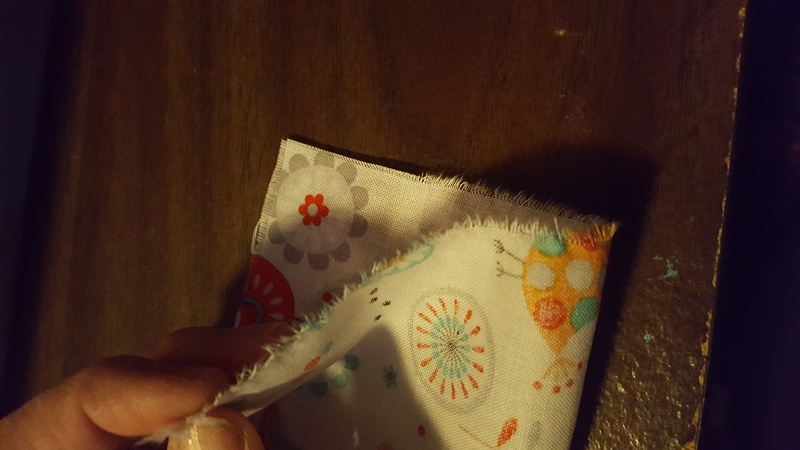 You can press the hem with an iron when you are done if you want a crisp edge, but I didn’t worry about it. Repeat the process with the 14 inch by 12 inch piece. 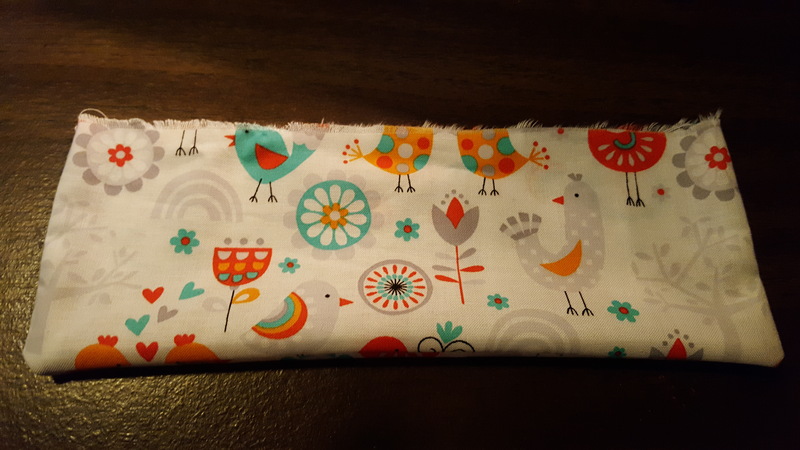 This is the bottom flap of the front of the pouch. 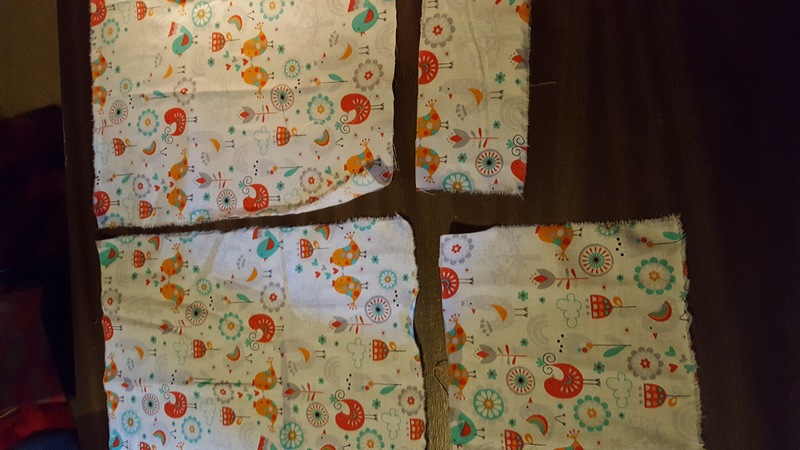 Take your 8 inch by 10 inch piece and fold it in half with the right side (the pretty side) on the inside. 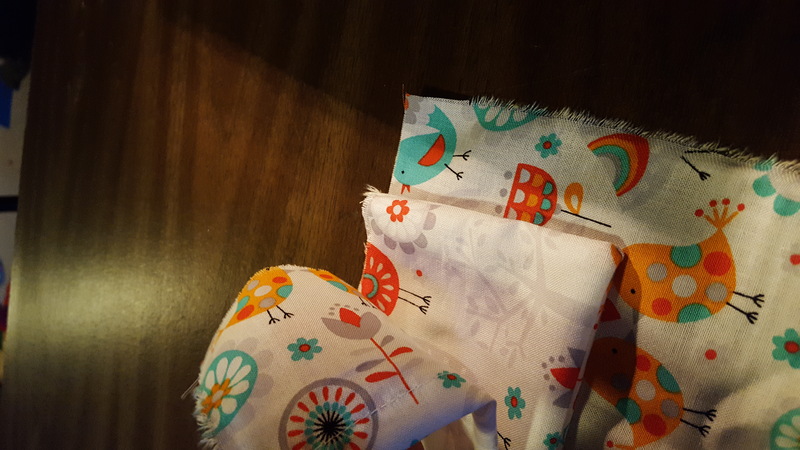 Pin in place and sew around the sides and folded edge, leaving the bottom open. Turn right side out and press. Lay your big piece (15 inch by 12 inch) down with the right side facing up. Next place the 8 inch by 10 inch piece that you’ve just completed on the middle of the top (12 inch) edge of the big piece. Then place your 3.5 inch piece, right side down, rough edge on top of the other two pieces. Place the remaining piece, right side down, covering the rest of the piece. Does this make sense? Your hems that you’ve sewn will over lap. Pin everything into place. 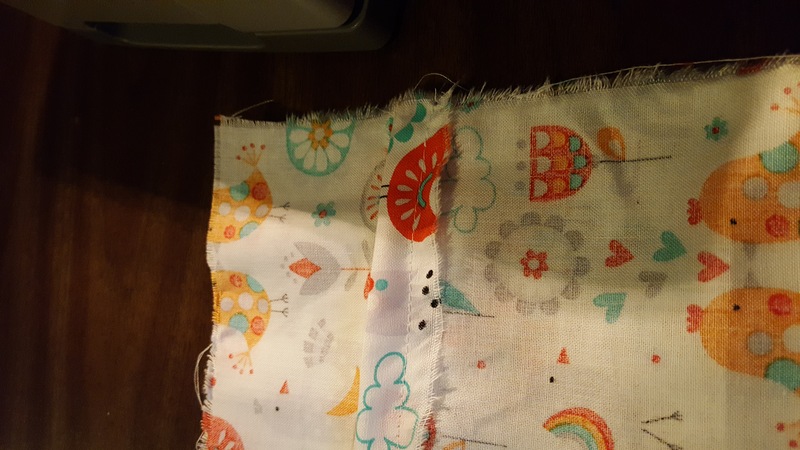 Sew all the way around the edges, being sure to catch that flap in the top middle. Turn the whole piece right side out. You should now have a pocket with a flap at the top. Lay the piece pocket side down. Place your coat hanger over the flap. 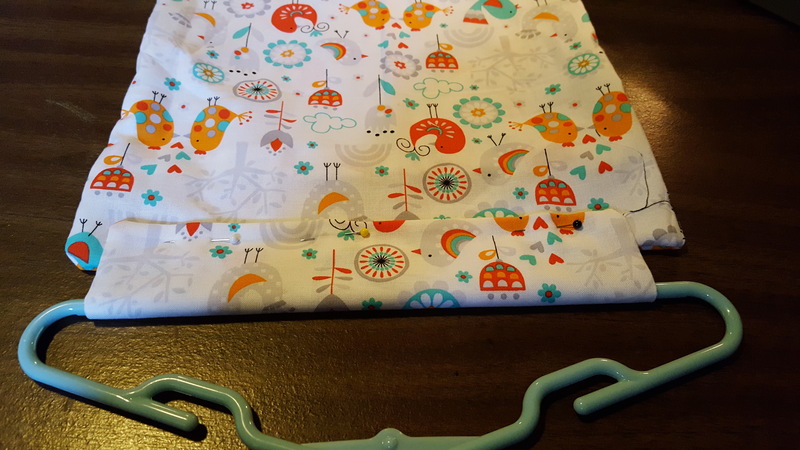 Fold the flap down over the coat hanger. 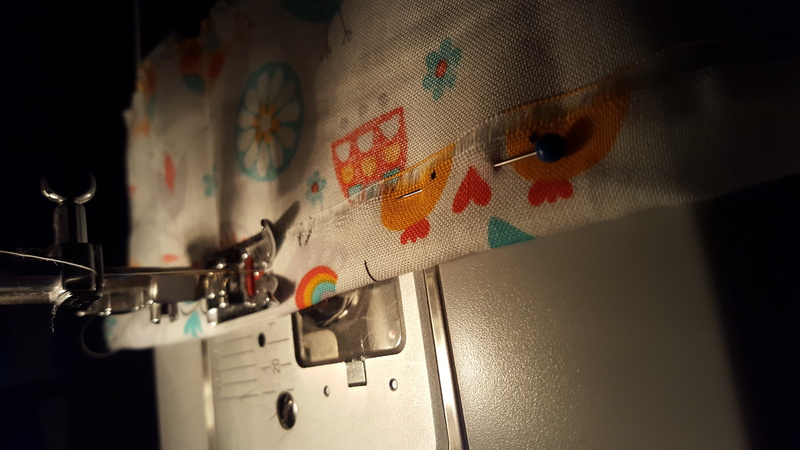 Pin in place and sew. Voila! You are done!!! 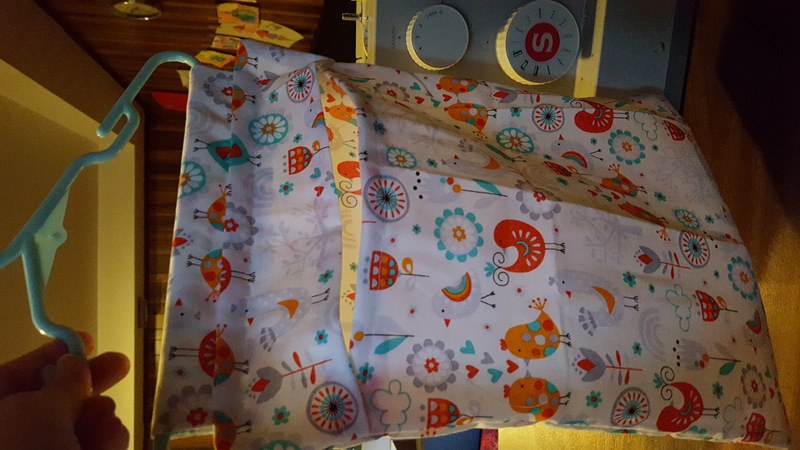 Now you have a pocket that hangs in which your child (or you) can place all your winter essentials.